The TQ514 Series use a unique digital, non-contact wireless system to supply power to and transmit the signal from the rotating sensor. The digital torque signal is then converted and amplified to a ±5 Vdc analog signal. This system reduces noise and allows for higher operating speeds. 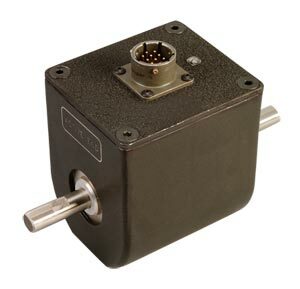 An optional 512 ppr optical encoder is available to measure angle or speed. 참고: Each unit comes complete with operator's manual. The DP41-B meter will display the signal but a separate power supply is required. See Related links below for a link to the PSS-12 or PSS-15 power supplies.